A Mansfield man and his partner broke into TK Maxx on Christmas Day and filled shopping bags with goods because they were “in desperate need of money” to pay off a drug debt, a court heard. Andrew Dennet and the woman were found by police at the rear of the store, in the early hours of Boxing Day, after the alarm was raised by CCTV operators. Prosecutor Neil Hollett said the rear doors had been forced open, and a screwdriver fell out of Dennet’s pocket when he was questioned. The store manager said the alarm had been triggered at 8.30pm on Christmas Day and CCTV showed that a passing car at midnight appeared to “spook” the pair and they fled, but returned later. “In police interview, the defendant said he and his partner were in desperate need of money to pay off a drug debt,” said Mr Hollett. CCTV recorded the pair hiding items by the bins behind the store on St Peter’s Retail Park. 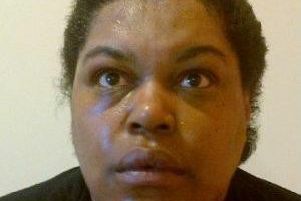 Probation Cheryl Nisbett said: “They had both been using drugs and their children were taken into care. “They tried to come off methadone to prove to social services they could do so. This didn’t work out and they relapsed very quickly. She said Dennet’s partner, the mother of his children, had been dealt with by the court in January. “They have until the end of April to prove themselves,” Mrs Nisbett said. Paul McLeod, mitigating, said: “They do desperately want to try and get their children back. Dennet, 33, of Victoria Street, admitted a non-dwelling burglary, when he appeared at Mansfield Magistrates Court, on Friday. He was given a 12 month community order, with a drug treatment programme of nine months, and ten rehabilitation days. He was ordered to pay an £85 government surcharge and £40 costs.